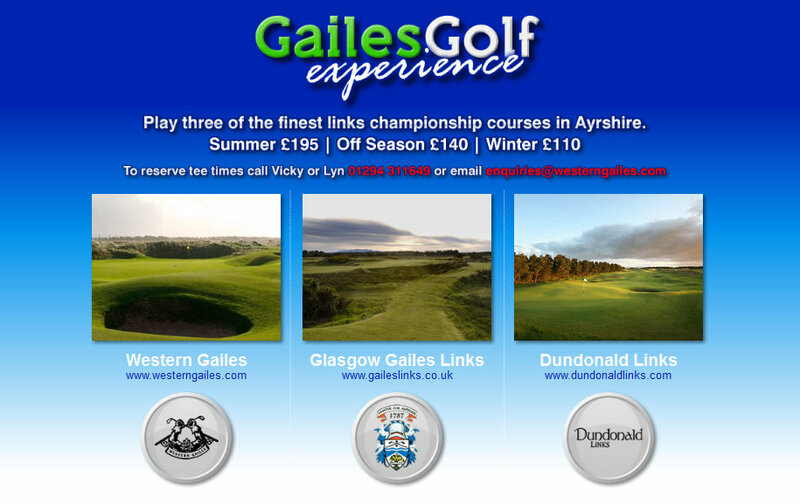 One of the most succesful ventures to come out of the Scotland's West Coast Golf Links partnership has undoubtedly been the Gailes Golf Experience a three course discounted golf pass. Three of the group's courses - Western Gailes, Dundonald and Gailes Links got together to offer a one stop shop for tee time reservations at a fixed price. Great value and convenience.